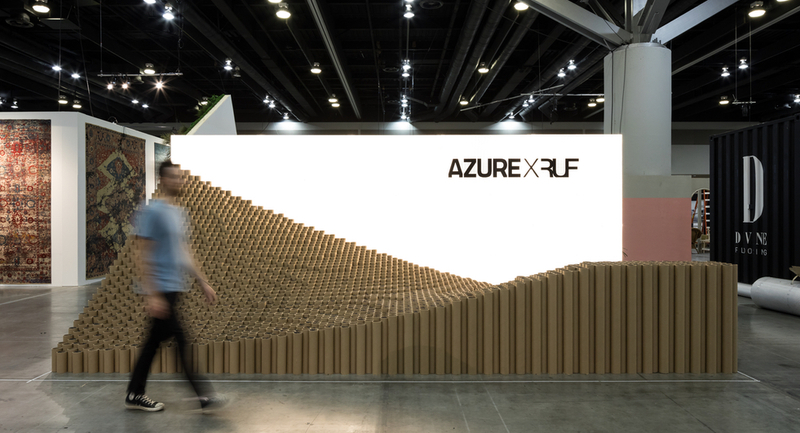 For IDS Vancouver, Azure teamed up with local firm RUFproject on a site-specific installation that was equally simple and mysterious. 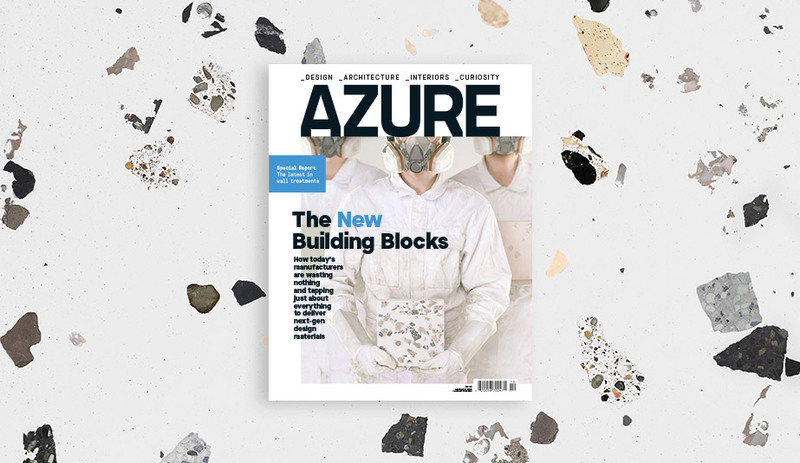 Last week at IDS Vancouver, Azure launched a new creative initiative that we hope will continue long into the future. 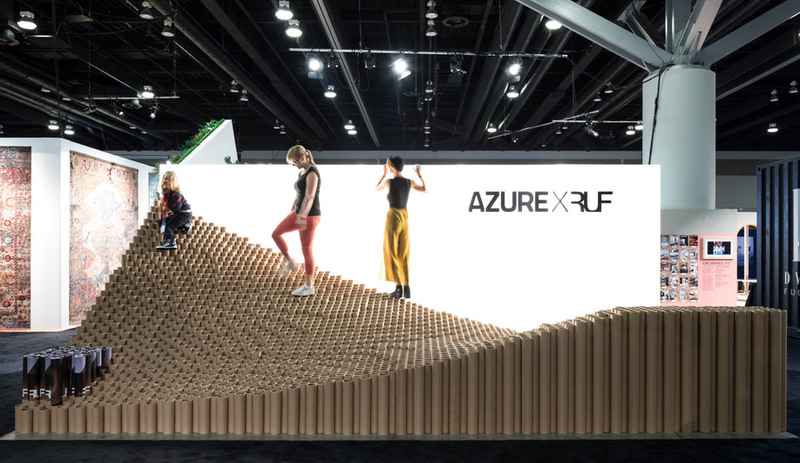 AZURExRUF is the first in a series of collaborations with some of our favourite design talents and saw Vancouver architects RUFproject create a site-specific installation that served as both Azure’s booth and as a showcase for one of the city’s top studios. 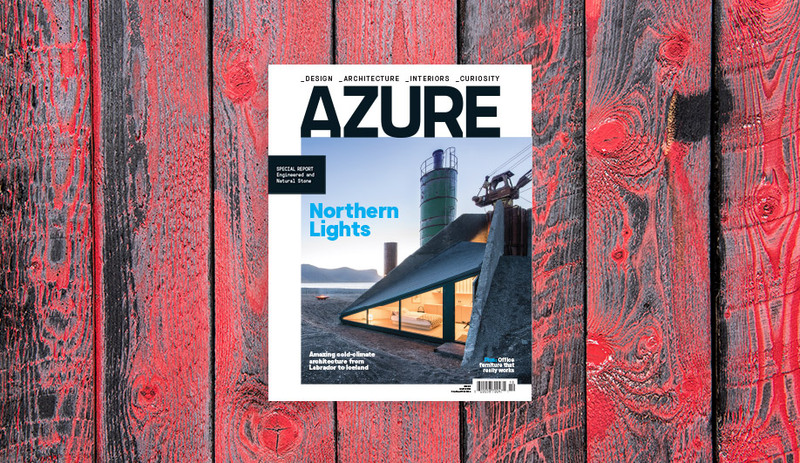 RUFproject is known across Canada for its thoughtfully detailed residential projects on the west coast and around the world for a slew of international projects that include retail stores, event spaces and the AZ Award-winning Nike Football Training Centre, in Soweto, South Africa. 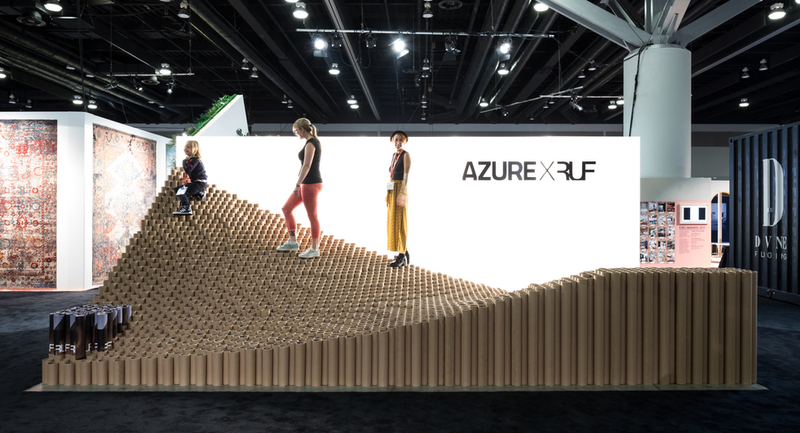 Led by founder Sean Pearson, the six-person RUF team worked with another local firm, Intempo Interiors, to construct an undulating, climbable landscape, built from 2,740 cardboard tubes, for Azure’s IDS Vancouver space. 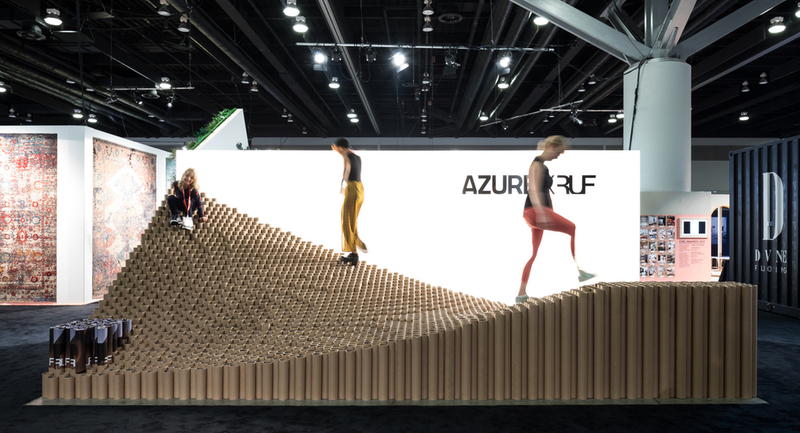 Incredibly simple yet a little bit mystifying, show goers couldn’t seem to pass by our “Tubalicious” space without stopping to slip off their shoes, step up onto the tubes, and wonder just how it worked. But, as Pearson will tell you, it actually wasn’t complex. Once the firm had the basic concept in place, they tossed around a lot of ideas about how to assemble this walkable surface. The team first considered cutting all the tubes to different lengths, but worried about the logistics. 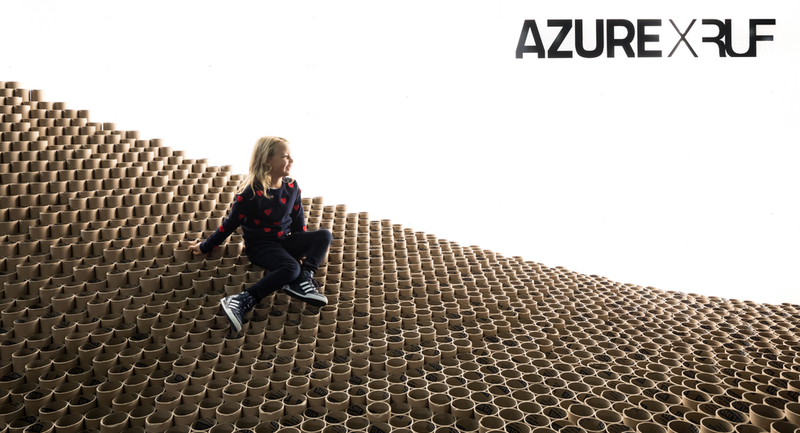 The next thought was to create a CNC base, perforated with holes of varying depths, which the 36-inch tubes could be dropped into. But the computer hours and cutting time that approach would demand was overwhelming. After realizing that cutting the tubes down to size was a fairly quick procedure, they stocked up on cheap blades and got to work. Over the span of a weekend the tubes were glued into 3- by-3- by-3 foot segments that could be easily carried and moved through a doorway. Once on site, these segments were assembled to form the finished installation in less than an hour. “It’s like a jigsaw puzzle and you just put them all together,” says Pearson. 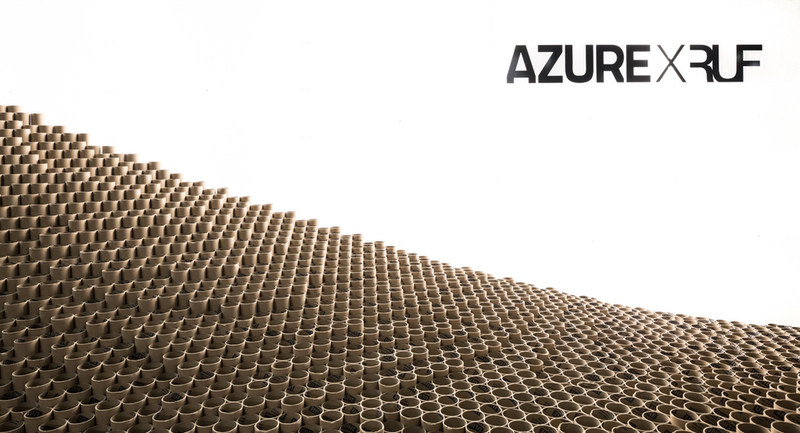 The standard sized tubes were cut to minimize both the order and waste, and the offcuts that did result have been donated to art programs at two local high schools. 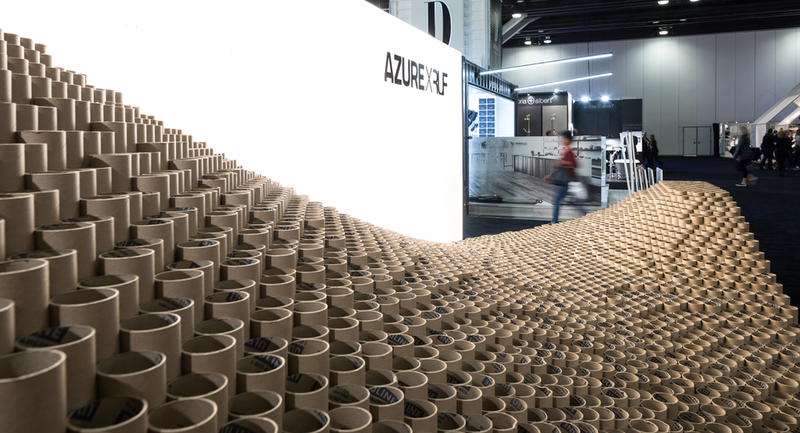 When the booth was taken down after the show, every component was either recycled or repurposed. The inexpensive light panels that formed the back wall were something that the firm had on hand, having used them in a previous project, and they’ll be put into storage and use again, Pearson says. “There’s nothing about the booth that’s excessive. And that’s kind of our thing,” says Pearson. 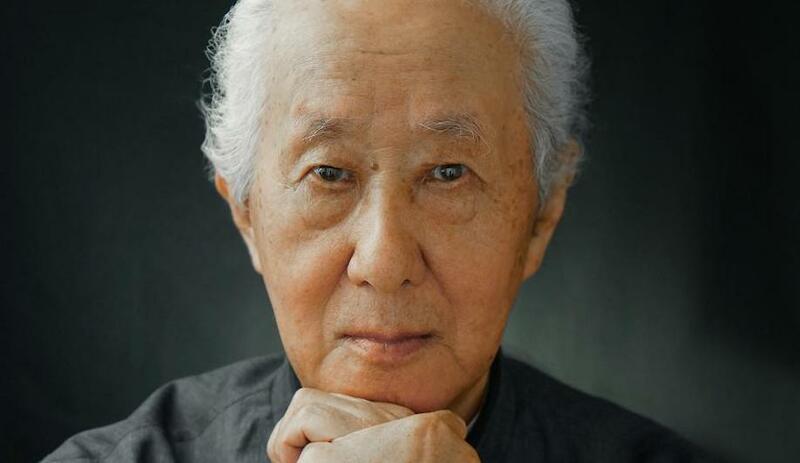 “We try to communicate a story as clearly and succinctly and powerfully with the least amount possible.